Merlin is working his magic in our new Fantastique exhibition. The Great Enchanter from the Arthurian Legend first cast a spell on our founder Arthur Wiener over 50 years ago. 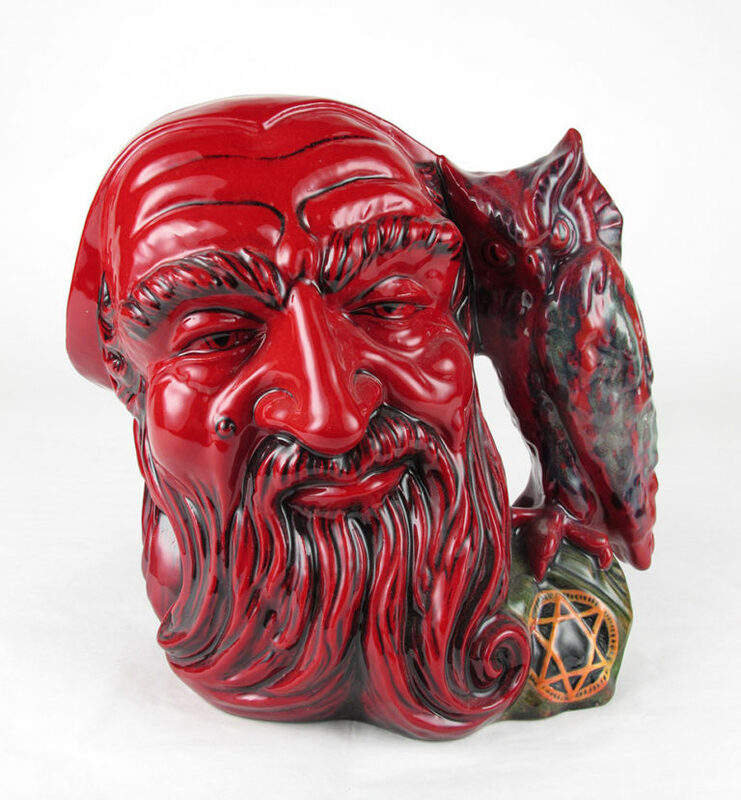 A Royal Doulton character jug of Merlin was the first piece he ever bought. 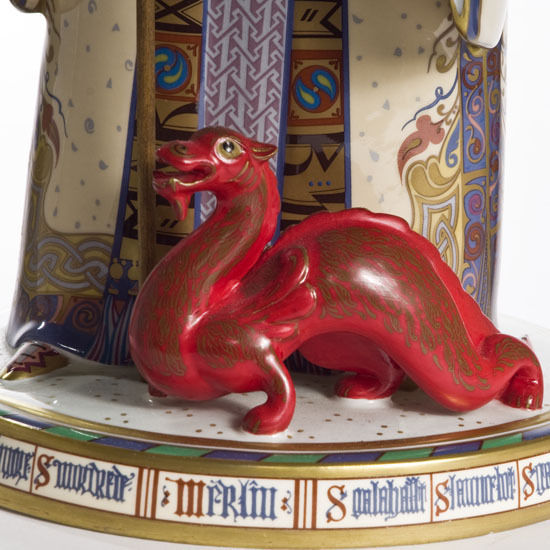 The Wiener collection began with a Royal Doulton character jug of Merlin, the magician, which Arthur spotted in a London china shop window in 1965. Arthur was a young college graduate on his first trip to England and he was armed with Frommer’s seminal guidebook Europe on $5 a day. It was the Star of David on the Merlin jug handle which caught Arthur’s attention and inspired him to spend his daily budget. Merlin certainly cast a spell on Arthur as he went on to become an avid collector of British ceramics. 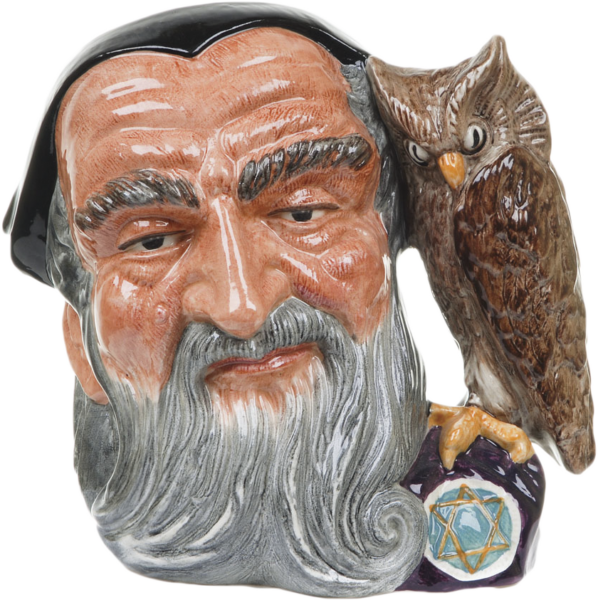 The Star of David on the handle of the Merlin character jug is intriguing. The London shopkeeper told Arthur that the legendary Merlin was Jewish, which proved to be a successful sales ploy albeit somewhat far-fetched. However, our recent research reveals that, in fact, there is a Hebrew version of the Arthurian legend written in northern Italy in 1279 in which an anonymous scribe Judaized the story. Presumably in this text Merlin is Jewish. There are also Kabbalistic interpretations of the quest of King Arthur and the Holy Grail, for example the story of King Arthur taking his sword Excalibur from the stone has similarities to the staff of Moses. 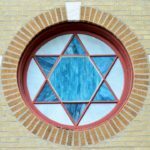 However, despite the links with Jewish mysticism, it seems more likely that the Royal Doulton sculptor, Gary Sharpe, has confused the Star of David hexagram symbol, also known as the Seal of Solomon, with the pentagram, a five-pointed star, which is more usually associated with Merlin. In the story of Lancelot of the Lake, Merlin the wizard follows the instructions in a grimoire and draws a pentagram on the ground to expose Morgan le Fay’s necromancy in casting a spell on Sir Lancelot. The pentagram has a fascinating and contradictory history symbolizing both the divine and the pagan. The Hebrews used the pentagram as a symbol of truth and to represent the Pentateuch, the first five books of the Hebrew Scriptures. The Greek followers of Pythagoras considered it to be the emblem of perfection representing the five elements that make up man - fire, water, air, earth and psyche. Renaissance alchemists and ritual magicians continued the use of the pentagram as a microcosm of the human body. In pagan mythology, the pentagram is linked to Pan, the Horned God of the Forest, who twists wood and ivy into an enchantment symbol against trickery and mischief. 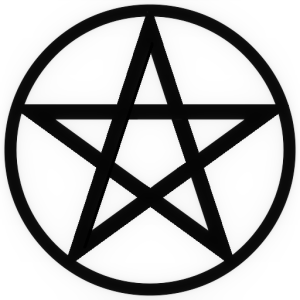 The five-pointed star has entered the iconography of witches, wiccans and the occult, while an inverted pentagram has associations with satanic rites. Celtic Druids associated the pentagram with the Godhead because five was their sacred number. Christians associated the pentagram with the five wounds of Christ and the endless knot of the star was a potent talisman to ward off demons. It was adopted by the Knights Templar who believed in the pentagram’s mystical powers, but it became a sign of heresy when they were persecuted by the Inquisition. The symbol was used by the Freemasons and by the founding fathers of America. In the legend of King Arthur’s Knights of the Round Table, the five points of the pentagram represented Generosity, Courtesy, Chastity, Chivalry and Piety and the symbol was used on Sir Gawain’s coat of arms. King Arthur, the legendary leader of Britain, reputedly led the defense against Saxon invaders in the early 6th century. The earliest, fanciful recreations of his life story include battles with monsters, giants and witches but he is better known as King Arthur of Camelot with his chivalrous knights of the Round Table in Mallory’s Le Morte d’Arthur, one of the first books printed in England in 1485. 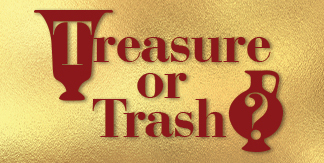 This is a tale of a Christian Camelot full of religious symbolism including the quest for the holy grail, the cup which Christ used at the last supper to consecrate the wine and which caught his blood at the crucifixion. In Arthurian legend, Merlin the Great Enchanter wears many hats. He is a magician, druid, sage, seer, magus, and bard, as well as King Arthur’s closest counselor. 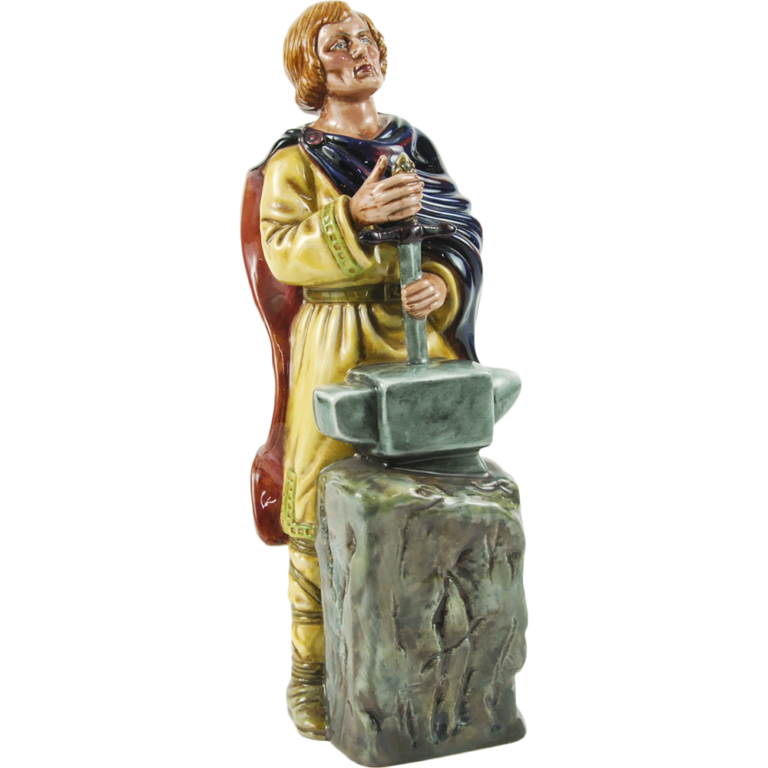 There are many theories about Merlin’s historical origins and identity linking him to real people and places during the Dark Ages of Britain. However, the legendary Merlin inherits his supernatural powers from the incubus who sired him with a mortal woman. As a young boy, Merlin averts his own sacrifice by vanquishing two imprisoned dragons who were destroying King Vortigen’s castle. The Red Dragon represents the Welsh people in their battle against the White Dragon, symbolizing the Saxon invasion of England. 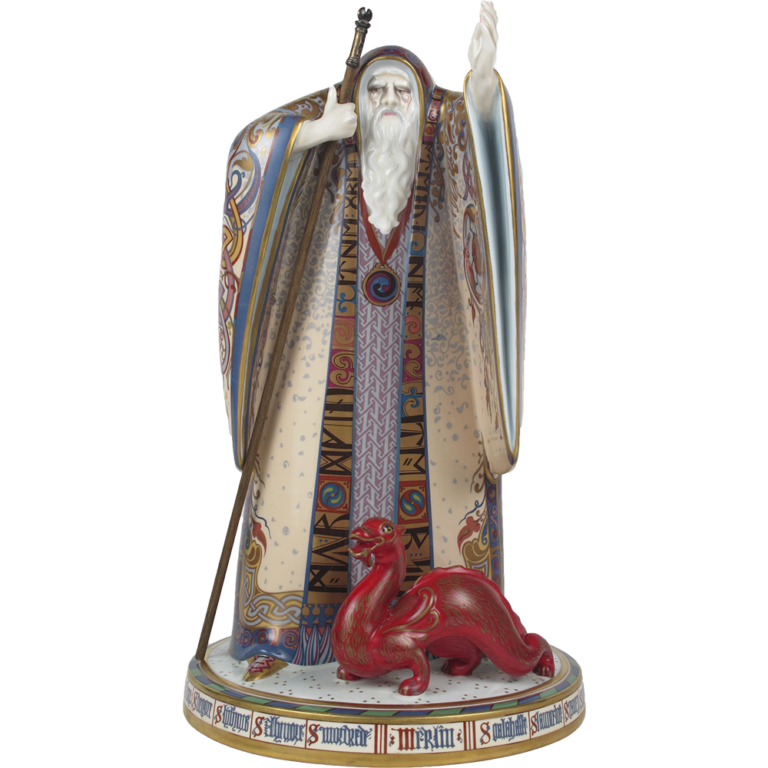 Merlin is portrayed with the red dragon of Wales at his feet by John Ablitt for Minton’s Arthurian Legend collection in the mid-1990s. 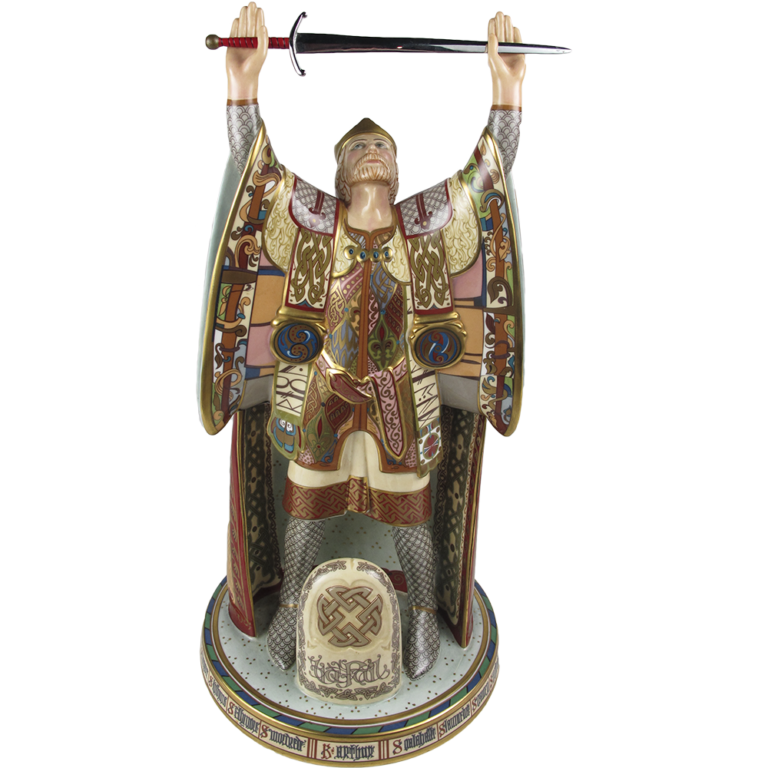 The prototype sculpture of King Arthur with his mystical sword was hand-painted by Dan Smith with a kaleidoscope of patterns inspired by Celtic mythology and illuminated manuscripts. 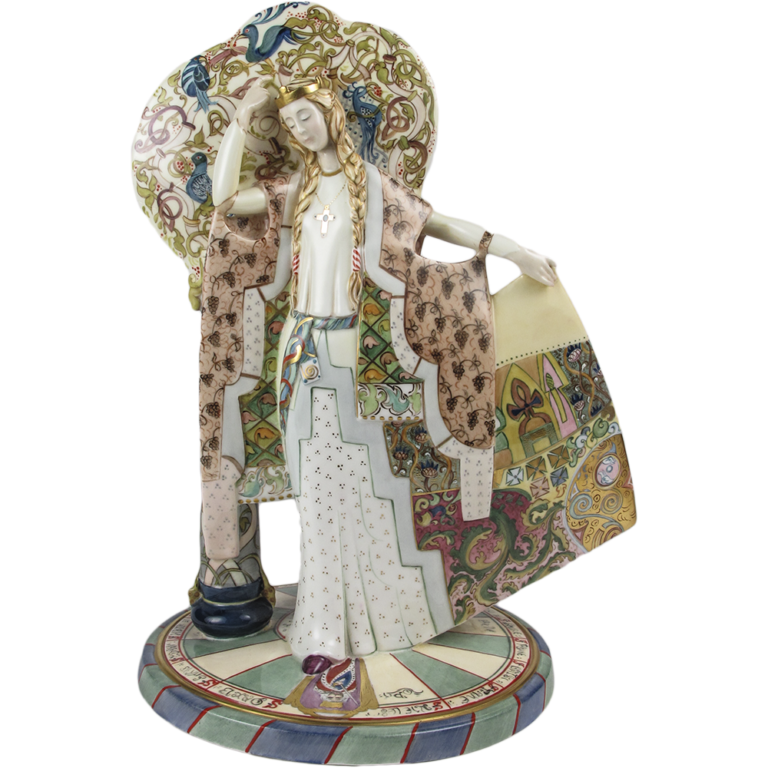 Guinevere is portrayed with the tree of life as she represents nature and the fertility of the land. Merlin engineers the birth of King Arthur through magic and guides the young king to the throne. 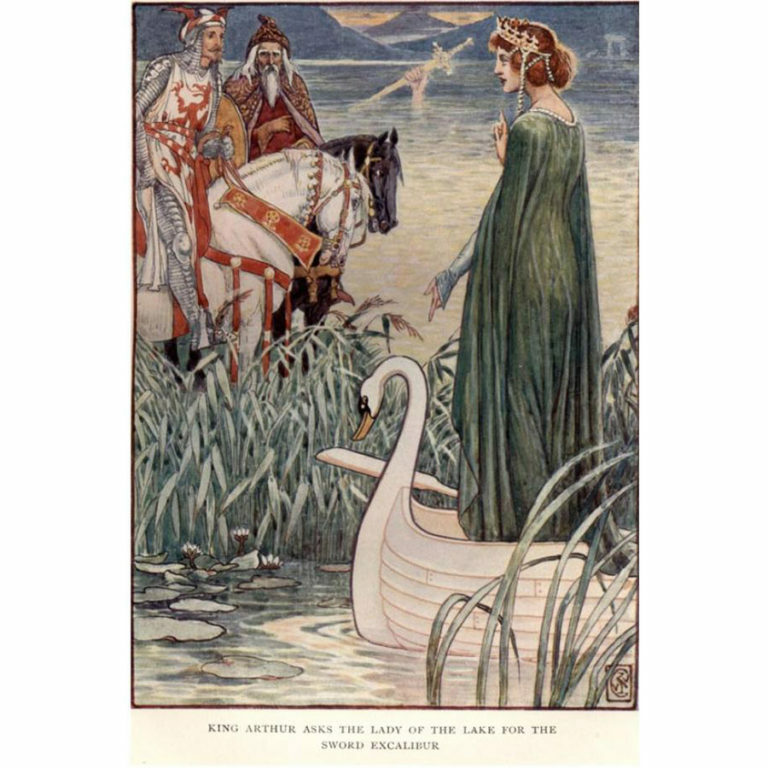 He enables him to draw Excalibur, the enchanted sword, from the stone and leads him to the new Excalibur held by the Lady of the Lake. 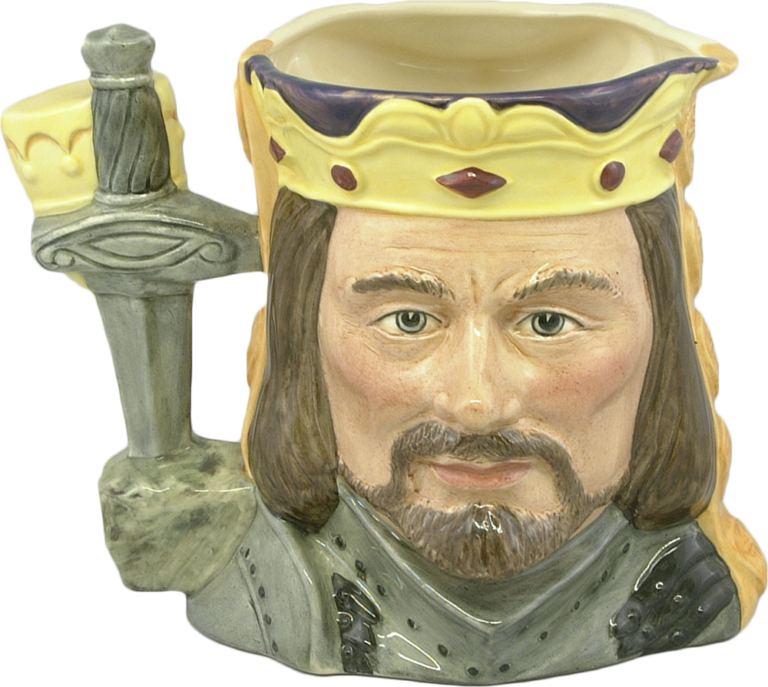 A Royal Doulton prototype figure by Bill Harper shows the young king drawing Excalibur. Merlin also foresaw Arthur’s death and the downfall of his kingdom because of Queen Guinevere’s doomed affair with Sir Lancelot. 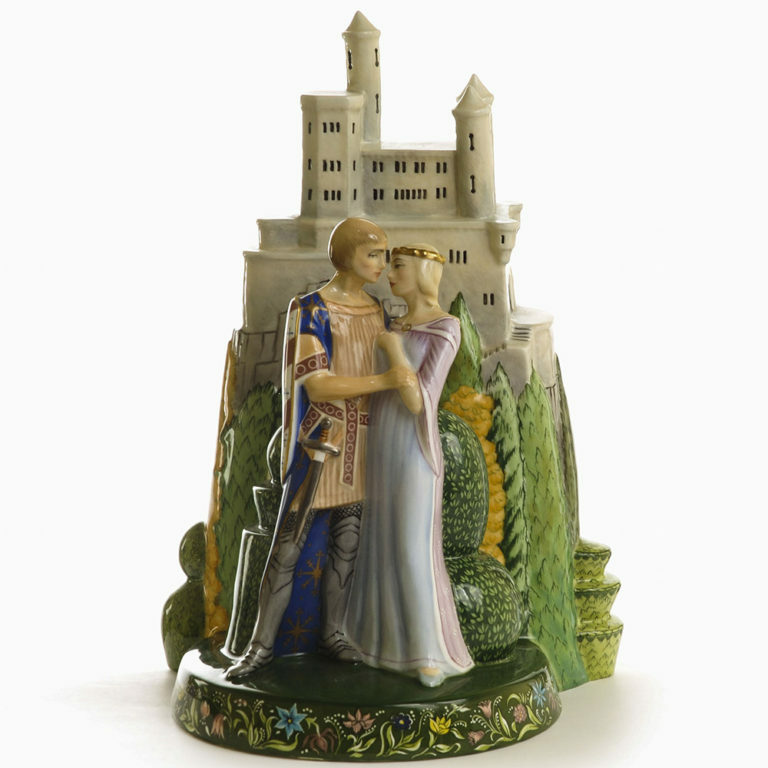 The illicit couple is portrayed in a Royal Doulton tableau with Camelot in the background, which Robert Jefferson designed for his Great Lovers series in 1996. 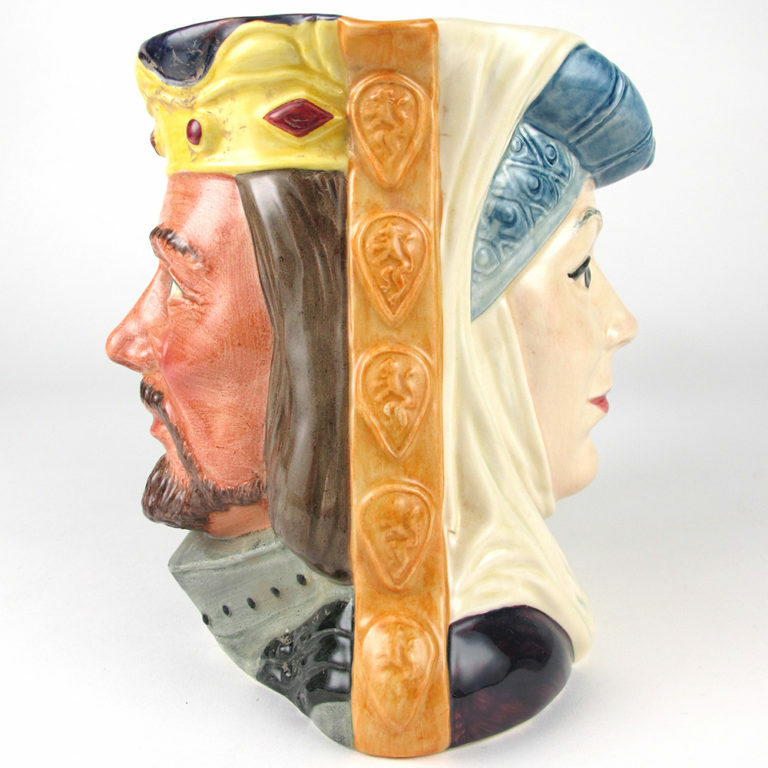 The artists at Royal Doulton were clearly fascinated by the tales of King Arthur as they produced a double-sided character jug of King Arthur and Guinevere for their Star-Crossed Lovers series followed by two character jugs of King Arthur and Merlin. 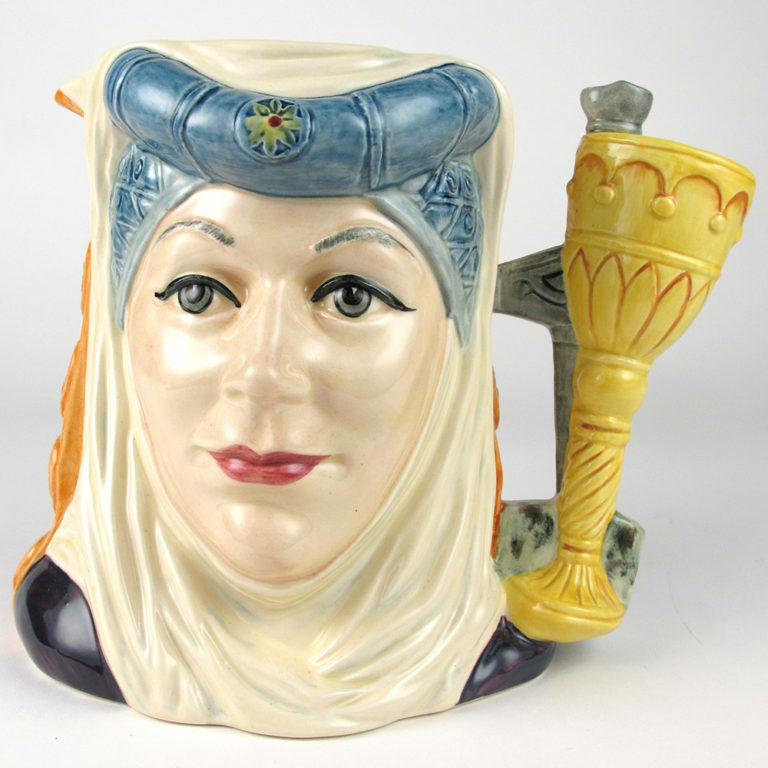 The original Merlin character jug from the 1960s was given a new look in 1996 with a rouge flambé glaze and gilded highlights. The prototype never went into production but visitors to Fantastique can see it alongside the other imposing figures from the Arthurian Legend. Let Merlin cast a spell on you too.